Whether your account is new, your travelling to another time zone, or during daylight savings time periods, it’s important to know where and how to update your time zone settings. Read our notice on Time Zone Settings. 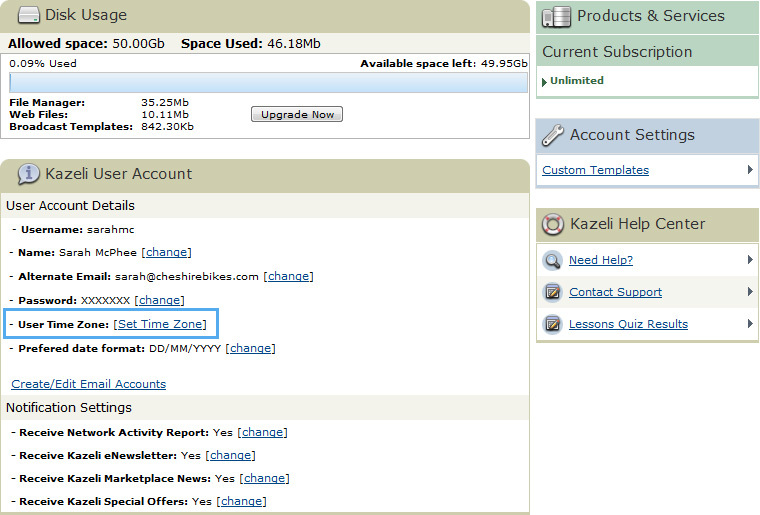 Click on MY ACCOUNT in the top right hand corner of Kazeli. Under the Account Settings heading, next to User Time Zone, click CHANGE.If you are going back to standard time, you need to deduct 1 hour from the time zone setting. For example, if you are currently set at GMT -6 during summer, you’ll need to go to GMT -7 when you time changes in Autumn. 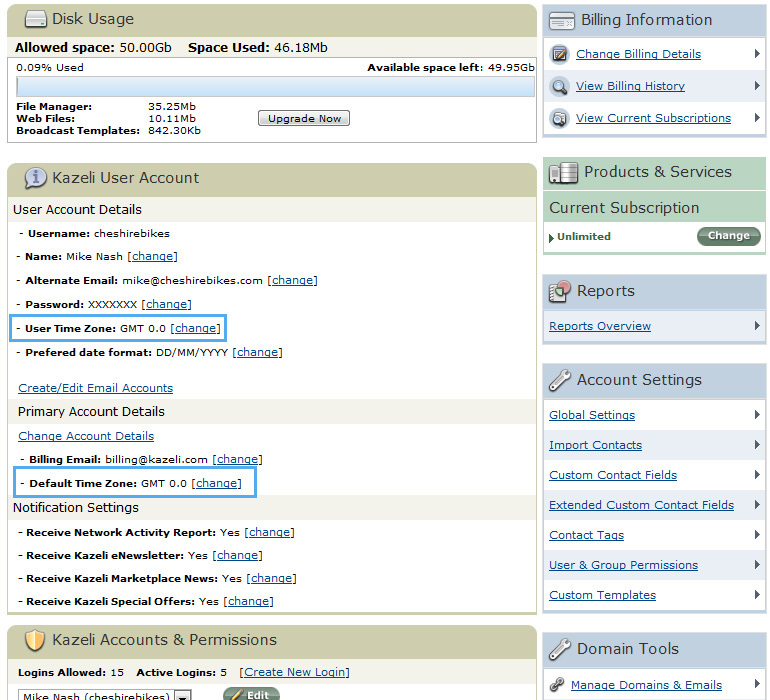 As an Administrator of the account, you will need to update your own individual settings as above. In addition you must update the Default Time Zone of the account. Under the Account Settings heading, next to Default Time Zone, click CHANGE.